Alice Guy Blaché made this statement in 1914, in an interview with the magazine Moving Picture World. It was her firm belief that women belonged in the growing film industry–not only belonged, but could flourish there even better than her male counterparts. She believed it because, in her experience, it was true–at least for a while. Barely in her twenties when she first stepped behind the camera, Guy Blaché became the first female film director. She began her career in her native France in the waning days of the nineteenth century before moving to the United States a few years later. Over the course of twenty-five years, Guy Blaché made several hundred films (some put the number at closer to a thousand), most of which are lost today. She was the first person woman to write, direct, and produce a narrative film, the one-minute 1896 short La Fée aux Choux (The Cabbage Fairy), and is credited with making the narrative a standard of filmmaking. Indeed, Guy Blaché is credited with many firsts. She was one of the first to experiment with sound, long before “talkies” became the norm. She was also among the first to play with special effects such as split-screen and double exposure. She was the first woman to own a film studio, Solax. She was the first director to film a movie comprised of an all-black cast (A Fool and His Money, 1912). 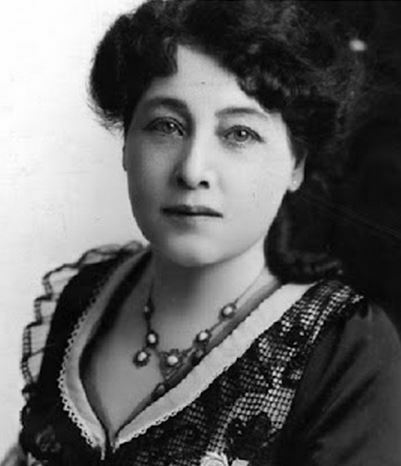 A new documentary seeks to bring some much-deserved attention to Alice Guy Blaché’s legacy and preserve her memory. Executive produced by Robert Redford, directed by Pamela Green and Jarik van Sluijs, and narrated by Jodie Foster, Be Natural seeks to celebrate Guy Blaché’s storied life and career. The film is named for Alice’s strongest advice for her actors: to “be natural,” to eschew dramatics in favor of more realistic performances. That naturalism, along with Guy Blaché’s innovative eye for what worked on camera, is one of the key elements that set her films apart from those of her male rivals. Green and van Sluijs have done their homework. Two years of intense research has yielded a treasure trove of information about Guy Blaché, including interviews with the director, personal correspondence and diaries, rare 8mm family films, various recordings, and scrapbook photos, some of which helped comprise the trailer for the documentary. As you can see, there is a long roster of notable names participating in the making of the documentary, among them film historian Cari Beauchamp; directors Diablo Cody, Julie Taymor, and Catherine Hardwicke; and actors Sir Ben Kingsley, Cheryl Hines, and Julie Delpy. Film fans, now is your chance to assist the efforts to “Save Alice” from obscurity. 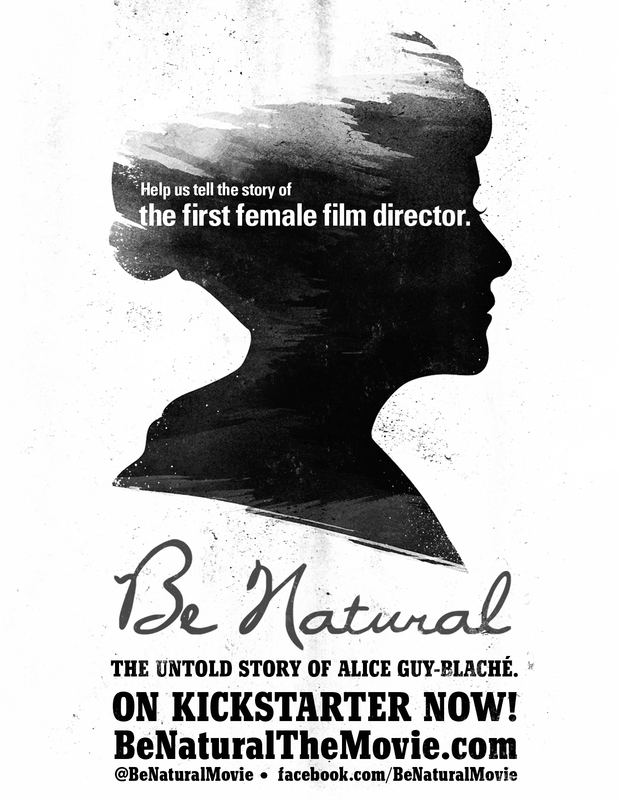 Today, the Be Natural project begins raising funds on Kickstarter, and you can make a donation, big or small, to contribute to the production of the movie. The goal is to raise $200,000 by August 27th. As with most Kickstarter projects, backers receive perks with every level of donation, from public thanks on Twitter to swag with the “Save Alice” logo to copies of the DVD and tickets to the film’s premiere for the top-level pledges. You can find out more information on the documentary by checking out the film’s website. You can also follow the filmmakers on Twitter and Facebook. Watch the trailer, pass along the Kickstarter link, and please help get the word out about this worthwhile project. It’s past time this brilliant, pioneering woman–“a woman you ought to know”–got her due. Immensley interesting post, I loved reading it.